The last few weeks of a pregnancy is both a time of excitement and caution as you approach the sacred date of your baby’s birth. In the last four weeks of the pregnancy, it is important to make certain that both the mother and baby are free from infections and the baby’s in the correct position before delivery. It is also important to make certain that you will be diagnosed properly when you go to the labor room for potential problems, including labor pain. As you get closer to your due date, your body will start doing strange things. Your feet may begin to swell and your rings may no longer fit on your fingers. These changes are due to the extra fluid your body makes at the end of your pregnancy, called extracellular fluid. After the delivery of the baby and placenta, patients usually lose a lot of fluid. Therefore, in anticipation of this fluid loss, Nature provides you with extra fluid beginning at about 36 weeks. You may also develop menstrual-type cramps or a squeezing sensation at the bottom of your abdomen. The activity of your baby may increase significantly or may decrease, depending upon how much room it has left in your uterus. If this is your first pregnancy, you will probably have at least one episode of “false labor.” False labor (or latent phase) is when you are having contractions that are painful but not strong enough to dilate your cervix to four centimeters. Four centimeters is usually the magic number that will grant a hospital admission. However, you must call your practitioner and possibly go to the hospital if your contractions are extremely uncomfortable and occur every five minutes for greater than two hours. This is grossly incorrect. 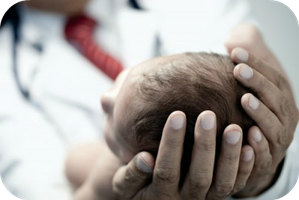 Once your membranes rupture, the baby no longer has a means of protection from the outside environment and serious infections can develop (known as chorioamnionitis). It is also important to alert your obstetric provider if the color of the fluid is green, brown, or blood-tinged, as this could indicate a serious problem. There are countless pregnancy magazine articles and books that advise pregnant women on what to pack in that very special “hospital bag” before they are admitted to the hospital as well as what to bring for their newborns. Certainly it’s important to have the nursing bras, hospital gowns, slippers, “onsie” outfits for the baby, the car seat, directions to the hospital, phone numbers of your provider, family and friends, and possible reading material for your partner. While all of these items are important, from a patient safety perspective, there are other things that should be done as well. For any of you who have traveled abroad, you know how important it is to have a passport and other important papers. Although entering a hospital can not be compared to entering a foreign country, the papers that are necessary for your admission are just as important as having a passport. There is a rule of thumb in the world of obstetrics that a prenatal chart or record should be received from your provider’s office before you are in labor. Your record is usually sent right after your 36-week exam. In a perfect world, all prenatal records are received before a patient is in labor, however, in an imperfect healthcare system, they are not. Hopefully your provider has an electronic health record system that is linked to the hospital’s electronic health record system. If not, make certain that you have a copy of your prenatal record and bring it when you are admitted. I strongly encourage every pregnant woman and her family to request a tour of the labor and delivery suite before they have their baby. First, it removes the mystery of the “unknown” and second, you have a first-hand view of what you’re actually going to experience. Some labor and delivery suites have special birthing rooms and beds that you might not be aware of without the tour. The new women and children’s hospital in my community provides Murphy Beds® for husbands and partners to sleep in while their partners are in labor. Touring the labor and delivery suite gives you an opportunity to ask questions about the fetal monitoring system, nursing staff, food menus, nursery, pediatricians and much more.